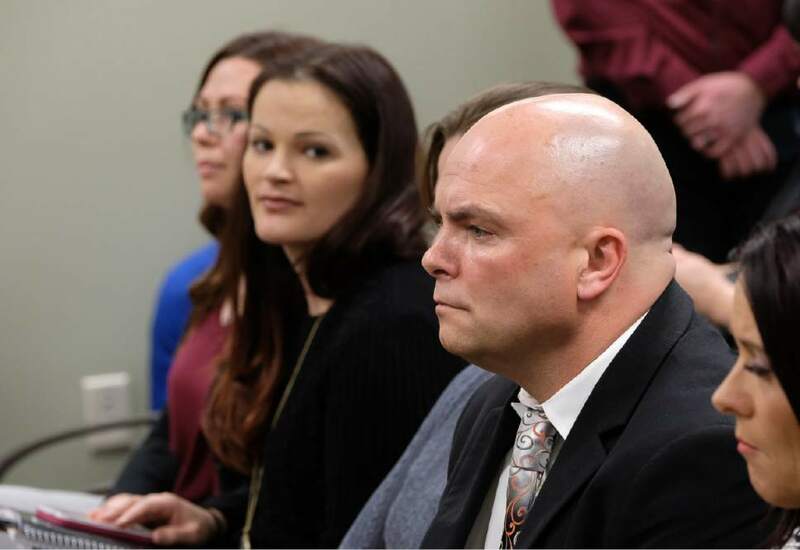 Francisco Kjolseth | The Salt Lake Tribune Polygamist Joe Darger, right, attends a hearing for HB99, a bill amending Utah's bigamy statute, as it goes back to the House Judiciary Committee for another hearing at the Utah Capitol on Tuesday, Feb. 7, 2017. At left are Luanne Cooper, a former member of the Polygamist Kingston clan and Jessica Christensen of the show "Escaping Polygamy." Steve Griffin / The Salt Lake Tribune Polygamist Joe Darger, center, listens as Rep. Mike Noel, R-Kanab, left, present HB99 to members of the House Judiciary Standing Committee in the House Building Room 20 on Capitol Hill in Salt Lake City Wednesday February 1, 2017. HB99 clarifies polygamy is a felony in Utah. Steve Griffin / The Salt Lake Tribune Rep. Mike Noel, R-Kanab, present HB99 to members of the House Judiciary Standing Committee in the House Building Room 20 on Capitol Hill in Salt Lake City Wednesday February 1, 2017. HB99 clarifies polygamy is a felony in Utah. Francisco Kjolseth | The Salt Lake Tribune Luann Cooper, left, a former member of the Polygamist Kingston clan and Jessica Christensen of the show "Escaping Polygamy" attend a hearing for HB99, a bill amending Utah's bigamy statute as it goes back to the House Judiciary Committee for another hearing on Tuesday, Feb. 7, 2017. 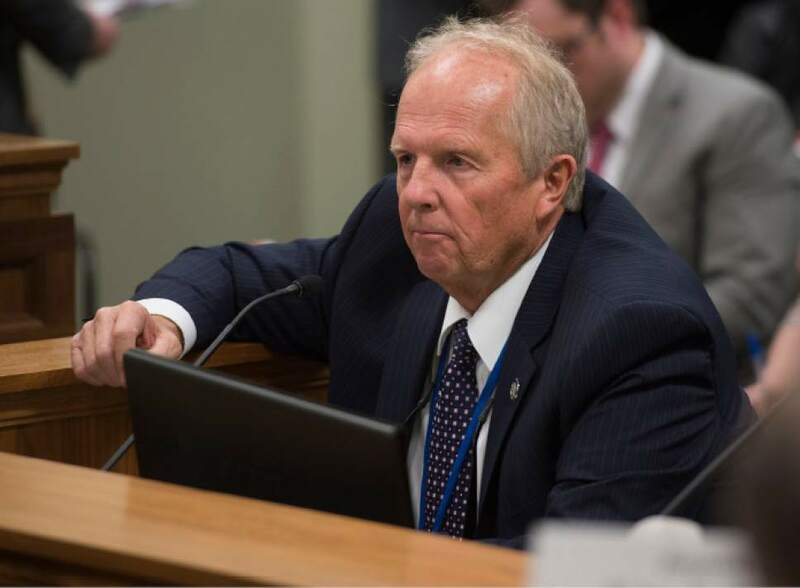 A bill changing the definition of bigamy, and that would increase the penalties for it in some cases, won approval Thursday from the Utah House of Representatives. HB99 passed of 48 to 25 in a vote that crossed party lines. The bill now will go to the Utah Senate for its consideration. A similar measure died there last year when senators failed to hold a hearing on the bill. The bill adds criteria for being prosecuted for bigamy: The offender must live with the extra spouse and "purport" to be married. Current state law requires only one or the other. HB99 would keep the offense a third-degree felony punishable by up to five years in prison, but those penalties could increase to 15 years if bigamy is prosecuted in conjunction with crimes such as abuse, fraud or human smuggling. Anyone leaving a polygamous marriage and reporting abuse or protecting a child would receive amnesty. The bill&apos;s sponsor, Rep. Mike Noel, R-Kanab, on the House floor Thursday described polygamous sects as "organized crime." Noel, who is a member of The Church of Jesus Christ of Latter-day Saints, also complained that polygamous groups such as the Fundamentalist Church of Jesus Christ of Latter-Day Saints are confused with his church. "The fact that individuals come up there and testify they are FLDS Mormons insults me and bothers me," Noel said. "They are an apostate group and they are no part of my religion." 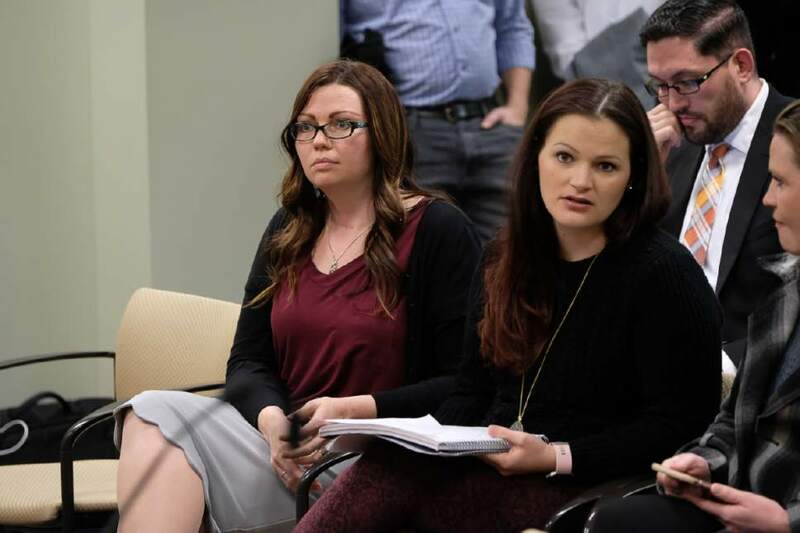 Opponents of the HB99 said they, too, are concerned about crimes associated with polygamy, but worried the bill did not provide equal protection under the law. They pointed out that adults who do not purport to be married but are doing the same thing as polygamists could not be prosecuted. "I recognize the serious evils we are trying to address here," Rep. Merrill Nelson, R-Grantsville, said. "All of those evils are outlawed by other statutes." House Minority Leader Brian King, D-Salt Lake City, made similar arguments about other laws already on the books. He said beefing up laws against bigamy will just drive polygamist groups further underground, making it harder to enforce other criminal laws when needed. "I just don&apos;t think we have it quite right yet," he said. Polygamists have testified and marched to oppose the bill. HB99 targeting religious cohabitation passes 48-25.sad day for Utah. Let&#39;s pray the Senate does its job and keeps this bigotry in check. One of the stars of the television reality show "Escaping Polygamy," in which a group of women who grew up in polygamous households assist those wishing to leave such families, voiced her support for HB99 on Twitter after the bill passed.